Safety is the most important thing in Johannesburg, it is even more important than a waterproof roof.”It doesn’t matter if you live in a mansion or in a township, safety is number one.” This is what I’ve heard from a man helping me to move into our new house. You can fix your roof, but you can’t change the surroundings. 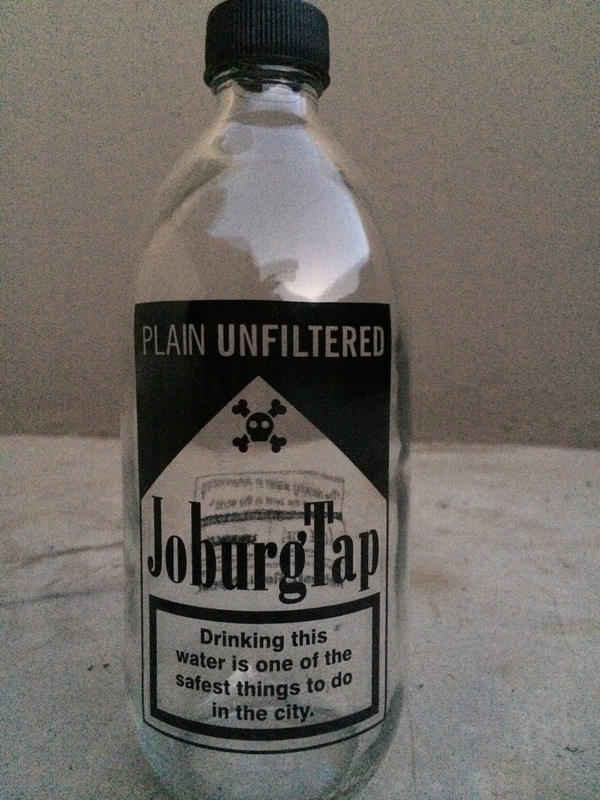 It is a typical view on living in Joburg, which I have found not to be true. So what is safety? 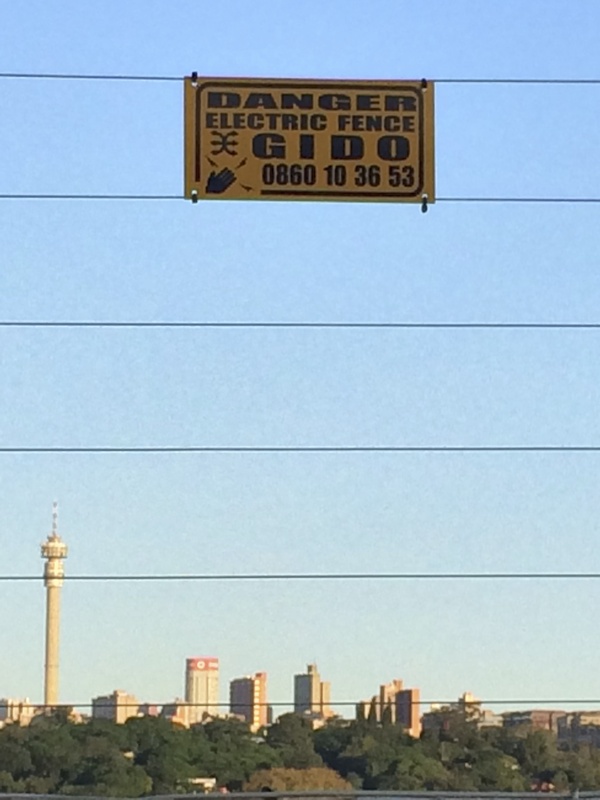 Is it that you have the newest, highest electric fence and armed security team just around the corner? Or is it more about you’re social security and that you actually feel safe when you’re at home or in the city? Coming from the Netherlands it is interesting to see how life goes about in Joburg. Everybody says that Joburg suffers from a negative image. About 4/5 years ago things were much different from now. A lot is happening in Joburg. Various neighbourhoods have been upgraded and are in the gentrification fase. 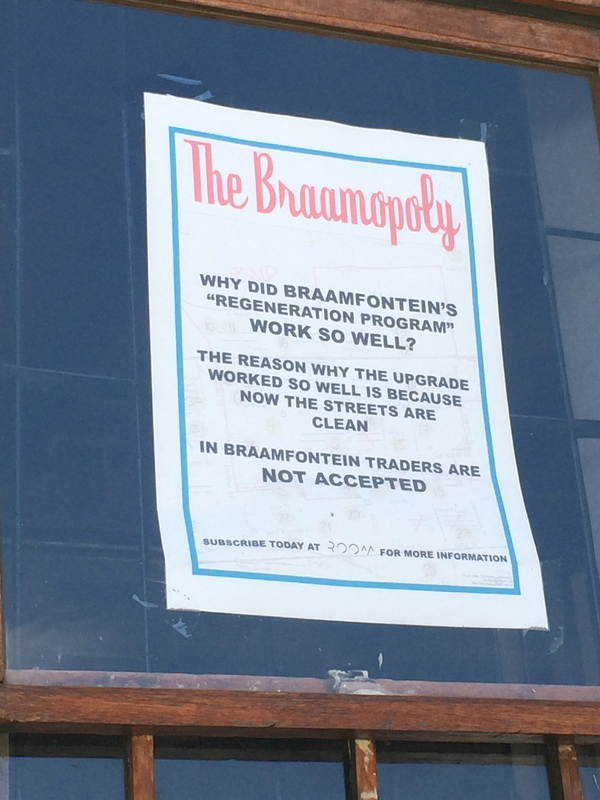 The most famous areas are Braamfontein, 44 Stanley and Maboneng Precinct. Areas where a couple of years ago you wouldn’t go to and which our now the scene of students and hipsters. In just a couple of years the developers have managed to clean up these areas and organise different events to attract people. 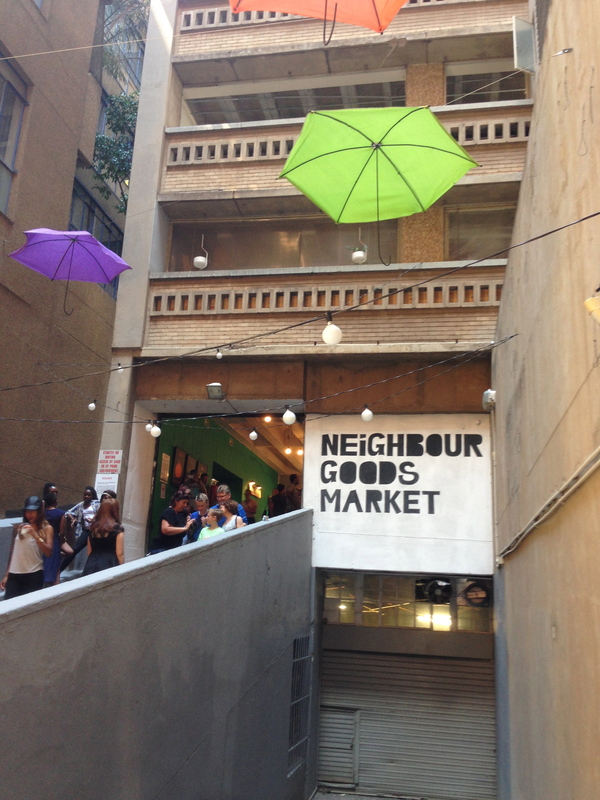 For example the Neighbourgoods Market in Braamfontein. Formerly a dodgy parking garage, it is now booming. This is the meeting place on Saturday morning for a brunch, a Balkan burger or a craft beer. Local food and great atmosphere in the city centre. Something you wouldn’t necessarily expect. And there is more to see and do in the surrounding area. The attractiveness lies in the fact that you can safely stroll around, which isn’t very common in Joburg. The streets and surroundings are free of rubbish and traders. The developers state that is one of the reasons that the regenerating process was such a success. Just back home from Jozi: i am impressed by transformation of area’s and society. The little Islands of safety can grow. Overcome fear by building communities together and walk together in the public space.